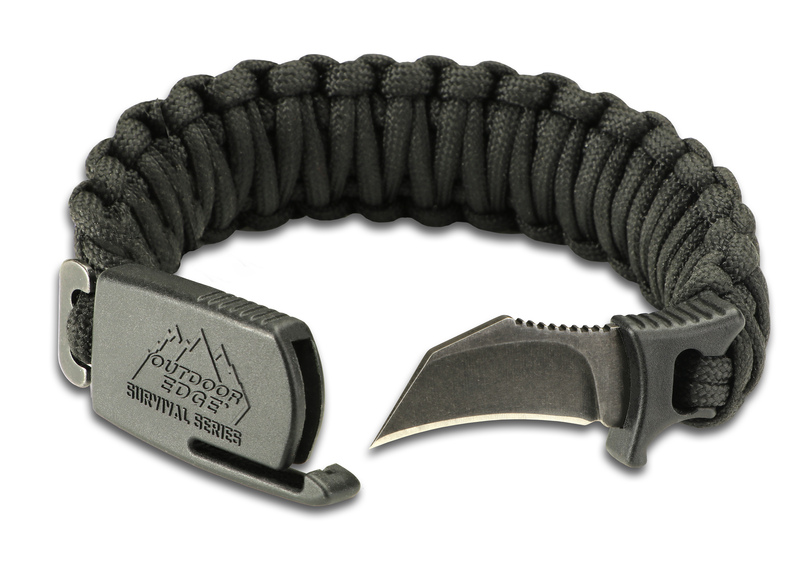 Outdoor Edge has put a sharp new twist on the popular survival para-cord bracelet with the introduction of the new Para-Claw. 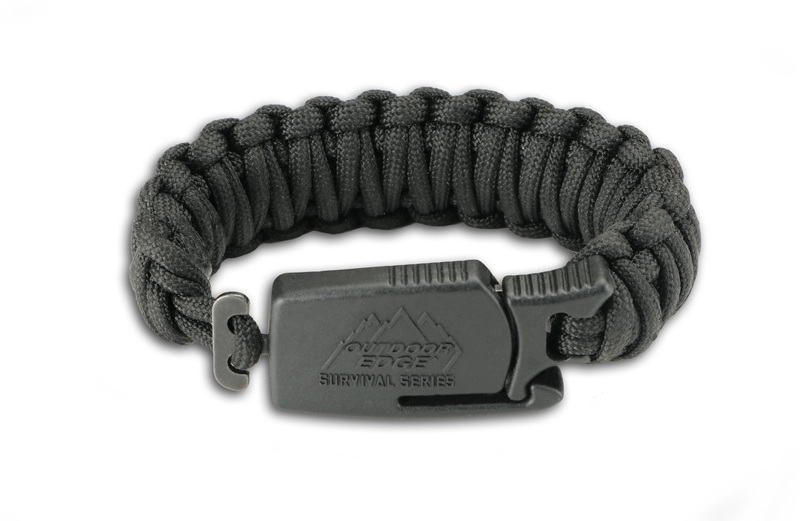 Wear the Para-Claw anywhere and have an inconspicuous utility/personal defense knife always at the ready. Developed by retired bounty hunter Fugi Escobido and Outdoor Edge's David Bloch, this innovative new knife is an essential tool for any adventurer or survivalist. The Para-Claw features a 1.5" hawkbill blade ground from 8Cr13MoV stainless steel with a stealthy BlackStone finish. The blade is integrally molded to a glass/nylon guard that ties into the bracelet. Handle grooves and jimping on the thumb ramp ensure a positive grip at all times. The patent pending sheath system locks the knife securely for immediate deployment in any situation. 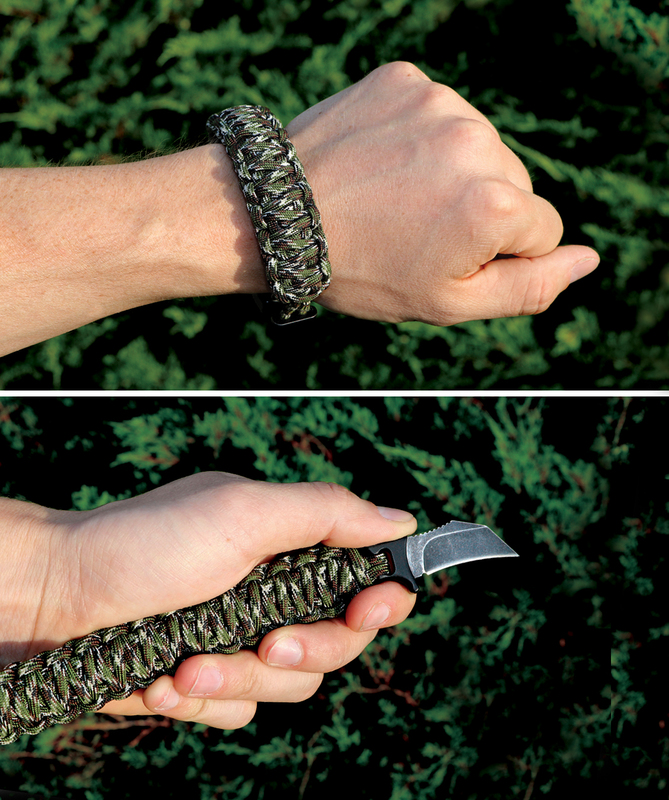 Once deployed, the paracord bracelet forms the knife handle. Each bracelet is hand-tied from 550 paracord and is available in three sizes and colors, each with an adjustable loop to fine tune the fit plus a steel T-post for easy attachment. The medium and large Para-Claw are offered in both black and woodland camo. Medium fits a wrist circumference of 6.25" to 7" and Large fits a 7" wrist and larger.